Your search is over if you have been looking for a private investigator to conduct a real estate investigation in Brooklyn, Queens, or Manhattan, New York. Vincent Parco PI Investigative Group stands alone as the leading provider of real estate investigations in New York City. Our founder and namesake is world renowned as an authentic investigative expert, and he has appeared on television shows like In Session, Good Day New York, Prime Time, Oprah, and 60 Minutes. When you can connect with a real estate investigation professional that has this type of reputation, you know that you can go forward with total confidence. All landlords in Brooklyn, Queens, and Manhattan should have background checks conducted on their potential tenants. We initiate probes for criminal records, financial history, evictions, and foreclosures. When you engage our services, you can rest assured that your potential tenants will be thoroughly vetted. If you suspect that you have a tenant that may be illegally subletting your property, we can get to the bottom of it. We can also implement surveillance techniques to find out the truth if you think that a tenant may be engaging in illegal activity in a rental unit. We have a location in Broward County, so we are ready, willing, and able to provide real estate investigations for West Palm Beach and Fort Lauderdale landlords. The same background checks can be conducted, and we can investigate tenants that are exhibiting behavior that raises red flags. 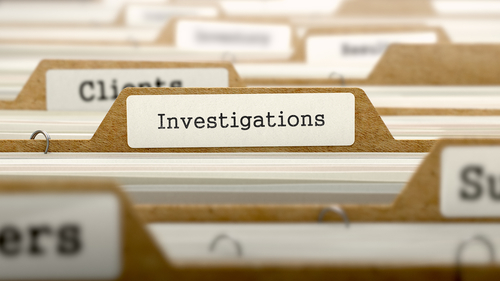 Another type of real estate investigation that can be extremely important is a preemployment superintendent investigation. You should certainly know everything about the history of people that are going to have the keys to your property. We can also be called upon to provide armed and unarmed guards, and we can arrange for closed-circuit camera installations. You reached this website because you are searching for a private detective that can conduct real estate investigations, and you have identified the ideal resource. For real estate investigations in Manhattan, Queens, and Brooklyn, we can be reached at 212-779-2000. For Miami and West Palm Beach real estate investigations, the number is 305-727-2674. Company president, Vincent Parco, has been deemed an expert in loft board and landlord/tenant hearings. Vincent Parco P.I., offers free consultations and security analysis to help minimize your real estate risk.